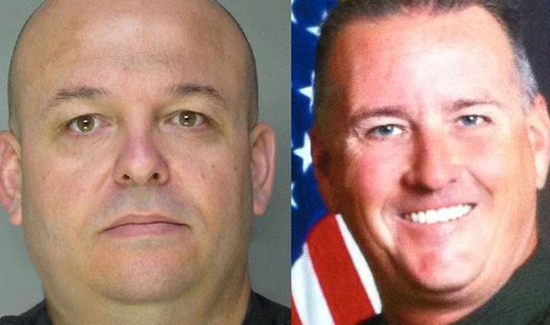 Deputy Danny Oliver of Sacramento and Deputy Michael David Davis Jr. of Placer County were brutally cut down this weekend. Two Sheriff’s Deputies from neighboring counties in California were brutally shot down this weekend when one Marcelo Marquez, 34, of Salt Lake City went on a crime spree involving several car heists and gun battles with the police. At this time it is unclear what initially set him off or if he had any motive whatsoever. He was apprehended alive and brought into custody along with a female companion. 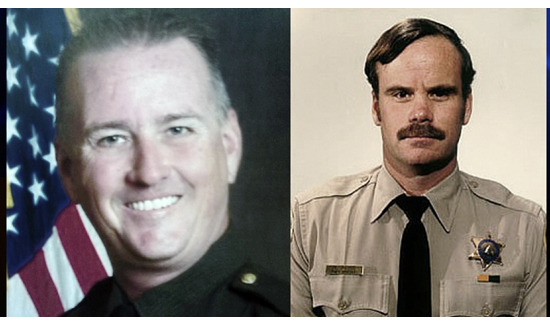 To add tragedy upon tragedy, one of the fallen officers, Deputy Michael David Davis Jr. of Placer County, was killed on the very same date his father died in the line of duty- 26 years later. Deputy Michael David Davis Jr. was a few days shy of his 43rd birthday. His father (right), for whom he is named, died in the line of duty exactly 26 years before him. Marquez’s afternoon of destruction all began when he shot Sacramento Deputy Danny Oliver at point blank range in the head as he approached Marquez’s parked car. By the end of his rampage he had carjacked several vehicles and shot 3 police officers and a civilian.